Environmental excellence is also part of the fabric of Peel Land and Property’s commercial developments. 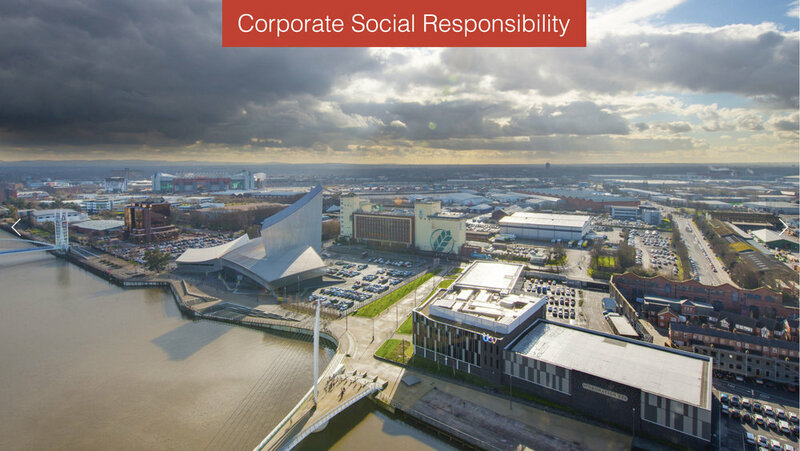 MediaCityUK was crowned BREEAM’s first designated sustainable community in the world. We have also piloted ‘green leases’ with our occupiers across our property portfolio to collaborate on championing good environmental management and cost savings. In 2015, Peel Land and Property became the first property enterprise in the UK to be awarded the prestigious energy management status, ISO 50001. ISO is short for the International Standards Organisation, which establishes worldwide standards that represent best practice among businesses. The annual savings from energy measures across the Peel Land and Property portfolio since 2009 has now passed £1 million.